A few weeks ago I bought a Pentax Spotmatic at thrift store. It ran around 15 bucks. I bought it because it appeared to have a nearly pristine Super Takumar 50mm F1.4 lens. Post-purchase and on closer inspection, I found that both the lens and camera body are nearly pristine and the lens is optically and functionally perfect. I’m currently running a roll of film through the camera before I send it off to Eric Hendrickson for CLA and possible repairs. The Super Takumar 50/1.4 is radioactive and has yellowed over the years. Other hobbyists have reported restoring the lens with UV exposure, so after some research I bought a $20 fluorescent UV glue curing lamp off of ebay. After a few days of treatment there wasn’t much reduction in yellowing, so I did a little more research. Many users have had good luck with an LED desk lamp. 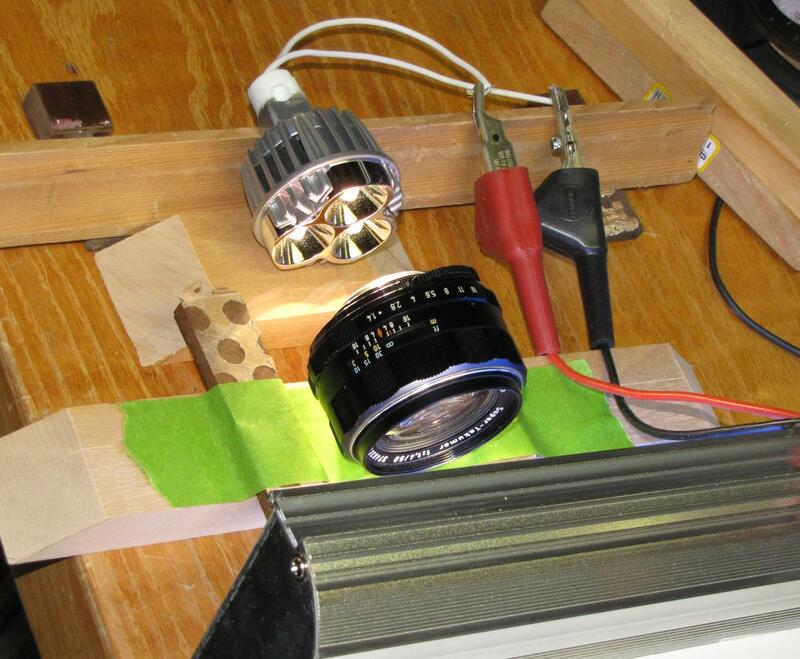 I have plenty of LED MR-11 lamps, so I set up the jig shown below. After about two days yellow was gone and the brightness was approximately 90% restored. Here’s a simple PowerShell Script that I developed to synchronize logins, credentials, proxies, operators, and jobs between AlwaysOn replicas using PowerShell, dbatools, and a little bit of T-SQL. $to = "DBA Bob &lt;bob@denvergov.org&gt;"
$message = "An error was encountered while executing command: $command  Please check SQL Agent job log. `n Error: $oops"
Send-MailMessage -To $to -From $from -Subject $subject  -Body $message -SmtpServer "somerelay.domain.org"
Items two through six are hosted on a Hyper-V server, while everything else is on standalone hardware. Item seven us useful for testing network connections between geographically isolated data centers. Until today I was having issues finding a way to realistically simulate network outages between availability group nodes, since they reside within the same Hyper-V host. Finally today something in my dim little brain clicked. All I had to do was bind each of the nodes in my availability group to is own physical network interface. 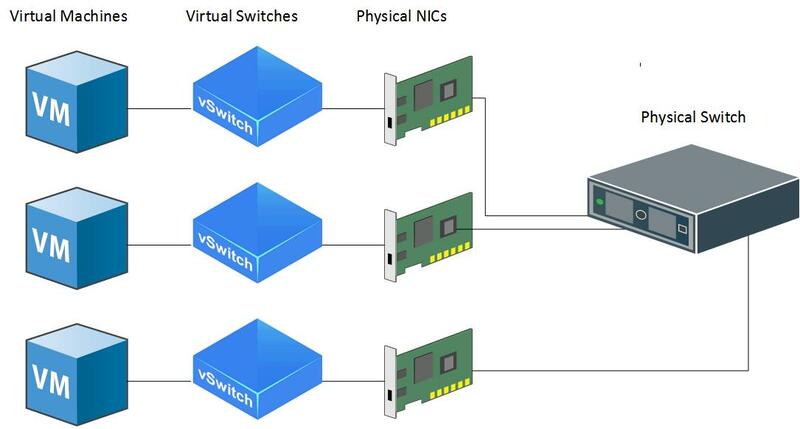 With this new configuration, creating a network outage is as simple as disconnecting a network cable. With two cables disconnected on a majority-node, three-node cluster, I was able to lose quorum (as expected) and watch the availability group role shut down as expected. Restoring network connectivity produced the expected behavior. Alternately, I was able to use failed quorum scenario to perform a forced quorum recovery. I had an unmet need to be able to test my AlwaysOn Availability Groups under less than ideal network conditions. More specifically I needed a way to add network latency in order to create more realistic monitoring and troubleshooting scenarios. After some searching, I found the WANem project on SourceForge. WANem comes in two flavors: a live CD based on Knoppix and a virtual appliance to run under VMWare. For my project I chose the live CD and ran it on an old laptop. One very nice thing about WANem is that you only need a single network adapter on your test machine. The documentation is quite adequate to get started, however I would recommend that you use this guide to set up your testing environment. For my setup I added static routes so that the route between each server used the IP address of the WANem as its default gateway. It turns out that the built in fsutil OS utility can quickly create an empty file of any size. For example: fsutil file createnew test.txt 1300000000 Will create a file 100 billion bytes in size. C:\Program Files\Microsoft SQL Server\MSSQL13.MSSQLSERVER\MSSQL\DATA\CreditLog.ldf: Operating system error 112(There is not enough space on the disk.) encountered. I corrected the low disk space scenario by deleting the newly-created file. I then manually resumed data movement. Today I finished and passed the Microsoft/edX DAT219x: Provisioning SQL Server and Azure SQL Databases certification course. It covered provisioning and configuring Azure SQL databases, i.e., PAAS, as well as building SQL Server instances on both Azure Windows and Linux virtual machines, in other words, IAAS. After that I went on to provision an Azure BLOB store and use it to transfer databases from my on-premises lab to the Azure servers. Whee! The network adapter was set to the Bridged Adapter – the actual physical adapter in my lab PC. The minimum memory required to install SQL Server is 3.5GB. For my home lab, I really like being able to install SQL Server 2017 on a Linux machine. It eliminates having to consume a Windows Server license activation. Update 6/25/2017: Today I provisioned an instance of Ubuntu server on Azure and went on to install SQL Server 2017 on that instance. One key difference with Azure is that you need to add an inbound security rule to the network interface on port 1433 in order to remotely manage the SQL Server instance. The SQL Agent job step that I present here is intended to make a job execute only if the node currently owns a specified replica. The T-SQL for this job step leverages a function that was published in SQL Server Magazine and can be found here. The function, fn_hadr_group_is_primary, takes the name of the availability group as a single parameter and returns true if the replica is currently housed on the node and false if the replica is not currently housed on the node. I strongly recommend reading the SQLMag article as well as the articles in the larger series. The Spring 2017 24HOP focused on data security, a subject near and dear to me. One of favorite presentations was Bob Pusateri’s Passive Security for Hostile Environments. He showed what measures you can take when you have a situation where users who shouldn’t have sysadmin rights have those rights nonetheless. I’ve faced similar situations and taken similar measures in the past. In Bob’s case he presents it in way that is systematic and easily digestible. definitely worthwhile watching. You can find the slide deck and demo scripts on Bob’s blog. Deleting from very large tables can cause uncontrolled transaction log growth. The way around this is to perform an iterative TOP(n) delete where you limit the number of rows to be deleted in each batch. I got this idea from an article by Hugo Kornelis in the first volume of SQL Server MVP Deep Dives. It’s titled Set-based iteration, the third alternative. It’s a worthwhile read. The script shown above isn’t really suitable for production. Below is a more production-ready script. I’ve incorporated similar scripts into scheduled SQL Agent jobs to maintain a specific data retention target. For example, seven years. The script has a couple of noteworthy features. First, it incorporates a WAITFOR DELAY into the loop. 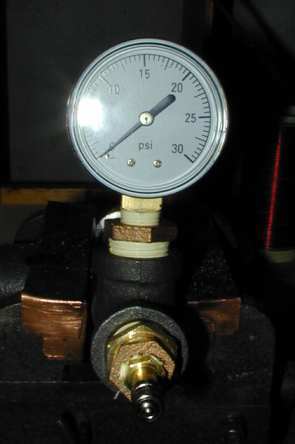 This gives other processes a certain amount of time to use the physical resources of the computer. It also gives processes a chance to access the table you are deleting. Second, it incorporates a cutoff time of day. After that time, the loop will terminate. For example, you might use SQL Agent to schedule this process every Sunday at 4:00 PM and set the cutoff time to 8:00 PM, because 8:00 PM is when other maintenance processes start up. Note that you will have to tune the @BatchSize and WAITFOR DELAY parameters to suit your particular situation. Here is a fairly simple PowerShell script that can be used to collect database file statistics across multiple servers. My version of the script is incorporated into a scheduled SQL Agent job that runs daily. It is very useful for trend analysis. …note that you can throw a clustered index on the identity column if you want. The PowerShell is quite straightforward. We grab the list of servers and then iterate thorough that list in an outer loop. For each server in the outer loop, we grab the list of online databases from master.sys.databases and iterate through it. One thing that is missing from that script is a routine to ping each server prior to trying to hit it. I’ll add that as time permits. $Servers = invoke-sqlcmd -ServerInstance $env:computername -Database "DBA" -Query "SELECT  ServerName FROM dbo.ServerList where IsActive = 1 order by ServerName"
$Databases = invoke-sqlcmd -ServerInstance $Server.name -Database "master" -Query "SELECT  name FROM sys.databases where (database_id &gt;             4 or database_id = 2) and state_desc = 'online' order by name"
Wait stats analysis is often my tool of first resort for triaging performance problems. Adam Machanic’s SP_Whoisactive utility is my tool of choice for getting insight into what is happening on a server. Data Warehouse ETL processes often occur overnight. Since I do not have the stamina or desire to stay up all night every night to get insight into what happens during overnight loads, I run a SQL Agent job every five minutes to persist snapshots from SP_Whoisactive into a table. That way I can review the table later in the day. For my part I incorporate the destination table into a DBA repository and I incorporate the previous query into a SQL Agent job step. I schedule the job to run approximately every five minutes. Note that in production there is a second step to clean up old log entries. I found this to be a useful aid in troubleshooting BI Data Warehouse loads where very large tables are being loaded on a nightly basis. Here is my script to find missing indexes using the missing index DMVs. It’s pretty much like others with the exception that I first get the instance uptime and then use that to calculate the number of seeks and scans per day. That way I can make my index decisions both in terms of impact and frequency of use. We have dimensional data mart running on SQL Server 2012. The larger fact tables vary between 7 and 17 billion rows. No fancy data types, no LOB data types, and all the join keys are ints. There were already well-tuned conventional covering indexes on the fact tables. Clustered indexes and column statistics are kept up-to-date. Non-clustered indexes are disabled and rebuilt with each daily data load. Queries always have some sort of date range in the WHERE clause. In implementing columnstore indexes, we experienced an average performance improvement of around 7:1. We were very happy, considering the level of tuning already in place. We did find one query were the performance actually worsened when using a columnstore index. I dug into the query and found that it utilized a view that was doing aggregations. It’s the classic anti-pattern of having aggregates in an intermediate result set without using a temp table. There’s a later join against those aggregates and the query optimizer cannot do a cardinality estimate. The view met a legitimate business requirement, so we created a regular table that materialized the view and added some code to load the new table as part of the nightly ETL process. After that we pointed the query to the new table and tested conventional rowstore covering and columnstore indexes. Again, about a 7:1 performance improvement between the two. The clustered index includes the ProcID. Because analysts work on one portfolio or ProcID at a time, clustering on ProcID improves concurrency – except on the very largest client where locks get escalated up to the table level. If an analyst was working on a portfolio for our largest client, other analysts were blocked from their tasks due to table-level lock escalation. To fix this problem I created a partition function that put our mega-client in one partition and everyone else in the other partition. After that I created an appropriate partition scheme and then enabled partition lock escalation. (See Paul Randal’s excellent article here). With partition lock escalation in place, concurrency has improved dramatically. If an analyst is working on our largest client’s portfolio, other analysts can now work on their portfolios with no blocking. Because of our analyst’s usage patterns, deadlocks are not a possibility. Users were seeing transient performance slowdowns every day between 15:00 and 16:00. The slowdowns would typically last for 2-3 minutes and occur one or more times during this time window. After looking at things on the SQL Server and database side, it was clear the problem was elsewhere. In fact it was clear that the problem had to do with network congestion, but I needed documentation. The first thing I did was use the SysInternals PSPing utility and PowerShell to better define the scope of the problem. PSPing has some cool features including the ability to ping over specific TCP ports, a corresponding server mode, and an optional histogram display. I won’t bore you with the details here; go read about it if you’re interested. PowerShell was used to iteratively run PSPing and redirect the output to a file. I also output a timestamp to the file with each iteration. PSPing and PowerShell clearly showed the dimension of the problem as well as the times the problem occurred. The output showed multiple latencies in excess of 3000 mS. The periods of high latency typically lasted between 1 and 10 seceonds. I also used tracetcp and tracert to further isolate the problem. Both utilities show latency by router hop. High latency values started at the first MPLS router hop. I needed to figure out what was driving the congestion, so I downloaded and installed a 30-day demo of a NetFlow analyzer. I configured the core router and switches to export NetFlow data to the PC running the Netflow analyzer software. 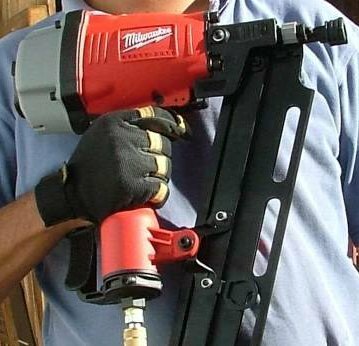 From there it was pretty easy to drill down and find the source of the problem. The image below shows what was happening. SMTP traffic was maxing out a 20Mbit MPLS circuit. After querying a few users, I found what was causing the problem – a daily client mass-mailing. Pretty simple really. Pretty simple script I wrote a while back. Moves files between two paths. For example, to sweep files from a DMZ server. Optionally renames files on the target system by appending a date code. This is to avoid name collisions. Pay close attention to $FileAge, which sets a lower limit on the age of files to copy and $RenameDelay, which sets an upper limit on the age of files to rename in the destination path. Change the copy-item method to the move-item method before going to production. write-host $list.count "items found to move"
write-host $list.count "items found to rename"
Perhaps this should be categorized as a stupid people trick. On the other hand, it’s a good, cheap way to deduplicate files assuming you’re running SQL Server and LogParser. This post assumes at least a basic knowledge of T-SQL and LogParser command line syntax. Note: the -o parameter directs LogParser to write the output to a SQL Server database table. Finally note that the MD5 hashing algorigthm has problems with hash collisions. Two unique files can produce the same hash. In this context there would be a risk of unintentionally deleting a file. You could tweak these scripts to generate and also match on file size. That would reduce the risk of unintentional deletions. My first ship, the USNS H. H. Hess, is currently enroute to Brownsville, TX where it will be cut up into scrap metal and recycled. The Hess was an oceanographic survey vessel that was operated by the Military Sealift Command from roughly 1978-1992. The ship was originally built in 1965 as the SS Canada Mail, a C4 Mariner class cargo ship that was operated by American Mail Lines. The ship was converted into it’s survey role in 1976. In its time it was the worlds largest floating data center with all sorts of cool computers and electronic instrumentation. It performed bathymetric, magnetic field, and gravity surveys in support of the Navy’s FBM program. The crew consisted of roughly 40 civilian mariners, 10 oceanographers, two commissioned naval officers, 18 enlisted Navy technicians, and several of defense contractor represenatives. The ship was big, comfortable and well-appointed. There were three dining rooms, two libraries, a conference room that doubled as a movie theater, nice staterooms, a workout room, a crew’s lounge and a large basketball court. My favorite parts of the ship were the electronics shop – I pretty much had it to myself and built my first Z80-based computer there – and the bow, which offered sun, fresh air, and quiet solitude – a great place to study and contemplate life. 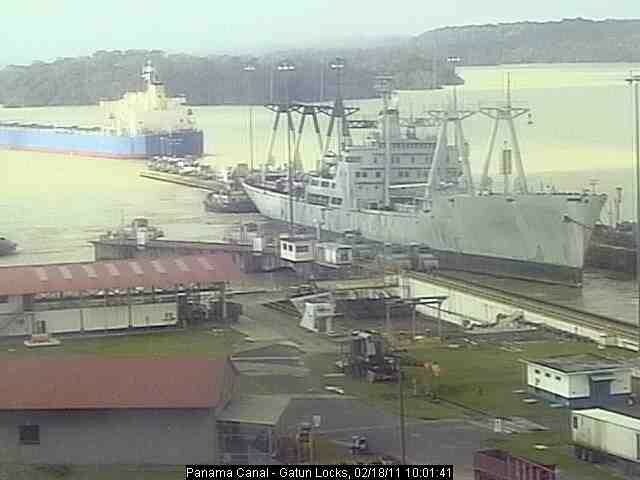 The photo below is a webcam capture that shows the Hess entering the Gatun locks of the Panama Canal on 2/18/2011. Here are several trivial scripts for updating the system catalog, moving files via robocopy, and adjusting filegrowth values. I hope someone finds them useful. Here is a trivial script to show where a particular index resides. It saves clicking around the SSMS GUI. I am frequently asked to refresh development databases with production data. The usual way to do this is to back up the production database and then restore over the development database. SQL Server 2005 has a new backup option, “WITH COPY_ONLY”. This option allows you to perform a full backup without truncating the log and breaking the log chain. The COPY_ONLY option is not supported in the SQL Server Management Studio (SSMS) GUI, so you have to perform the backup via a script. It’s important to note that a backup that is created with the COPY_ONLY option cannot be restored with the SSMS GUI. Instead you have to restore via a script. SQL Server 2008 supports the COPY_ONLY option in the SSMS GUI. You may run across the situation where you need to import an existing Perfmon (or System Monitor) binary log file into and Excel spreadsheet or SQL database. The obvious first step is to convert it to CSV format. It took googling numerous forums to figure out how to do this, so I thought that I’d document it here for future reference. You can display all the options by simply typing relog -? at the command prompt. I ran into a situation today where I was generating dynamic SQL that appeared to be valid. I could take the generated SQL strings and execute them with no issues, but when executed dynamically, I got the error message “Must declare the scalar variable “@someVar”, even though the variable in question was declared properly. I learned that the problem occurred because the variables were declared outside of the scope of the dynamic SQL that I was executing. I was pointed to the following article: http://support.microsoft.com/kb/262499. This article describes how to use input and output parameters with the sp_executesql stored procedure. Another good article on dynamic SQL parameters can be found on the SimpleTalk web site here. One thing that is kind of interesting about these statistics is that it clearly shows that the configured server memory is significantly less than the memory used by sqlserver.exe. I’m not a big proponent of shrinking files. There are a lot of postings on DBA forums citing why this practice should be avoided. Tibor Karzai in particular has an article on why this is a bad idea. Shrinking log files in particular is problematic as log files cannot leverage instant file initialization; they have to be zeroed as they are grown. Having said that, we have a development server with a lot of databases and no budget for storage upgrades. Consequently someghing has to give – and so we shrink the log files on a pretty regular basis. The last column shows the offload status. 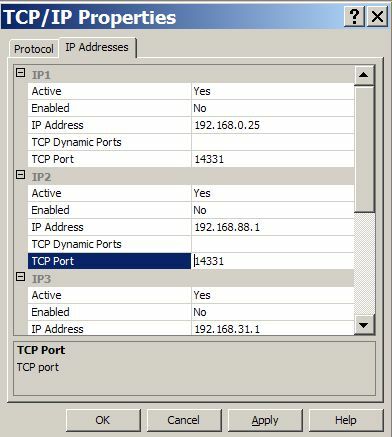 In this example the offload state is shown as InHost for all connections, so TCP offload is not enabled. Dont combine a table with itself, i.e. avoid self-joins. Create temporary tables for groups of queries. It’s been a while since I worked on my cluster lab. The first thing that I did was to tear down the old cluster and start over from scratch. 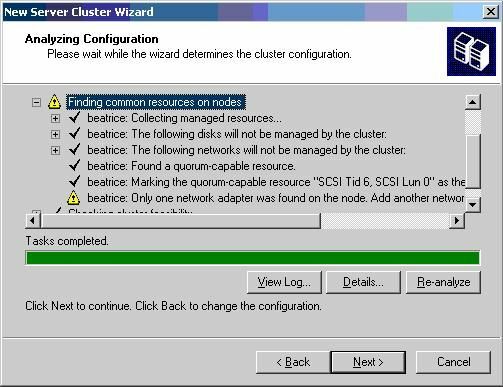 The first lesson from this round of testing came when the cluster administrator scanned the hardware resoruces and threw a warning message that stated that only one adapter was found on the node. This warning is caused by fact that the two cluster nodes are interconnected via a crossover cable and the second node is shut down. With the node shut down, there is no physical layer link on the Ethernet card, so the OS thinks that the cable is disconnected. I got past the error by simply plugging the cluster member’s private network connection into a spare switch that I had lying around. This provided a physical layer link which was what the OS needed to report a valid network connection. After that I rescanned the resources and the cluster installation proceeded. I originally blogged on Yahoo 360, but it is a lame duck, so I’m moving my postings over to WordPress. Today I was reminded of something that I knew but forgot. The IIS Metabase Explorer for IIS6 (or MetaEdit for IIS 4 and 5) is a very useful tool. I needed to blow away an inheritable attribute of the HttpRedirect property. The Metabase explorer made the task ridiculously simple. The Metabase Explorer is part of the IIS 6.0 Resource Kit. Here is an interesting Microsoft Knowledgebase article titled Disk performance may be slower than expected when you use multiple disks in Windows Server 2003, in Windows XP, and in Windows 2000. It explains how a partition misalignment can cause significant I/O by causing reads and writes to straddle track boundaries. The fix is to use the diskpart.exe utility to create an alignment offset when you first create the partition. This is similar to what you do with SAN storage to align the starting offset to “significant” boundaries. See the 3/31/08 post for more details. There is an EMC whitepaper titled Using diskpar and diskpart to align partitions on Windows Basic and Dynamic Disks. 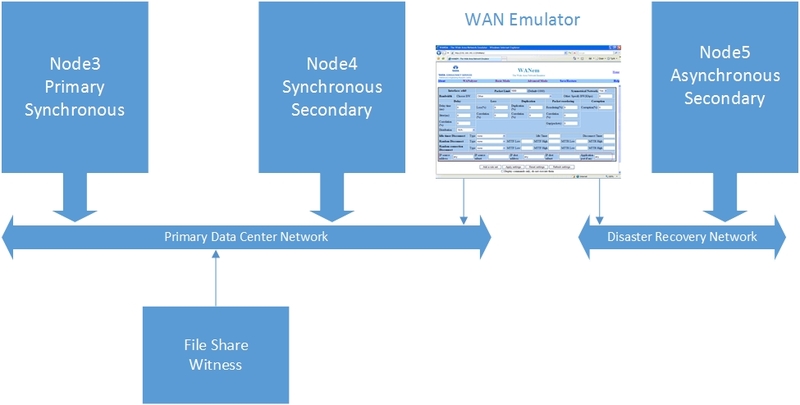 This paper describes how legacy Windows issues cause a single disk I/O to span multiple tracks. This puts an unnecessary load on the SAN and reduces performance. The fix is to align the partition. Below is a sample session using the DISKPART utility. Comments are in red. Volume 0 is the selected volume. MD5SUM.EXE is a more commonly used utility that runs on a number of different platforms. A good Wikipedia article with links can be found here and a Win32 binary can be found here. Here’s a very basic log filtering /review script that you can run on a daily basis to review your SQL Server logs. It shows the last two days of log entries filtering out logon and backup entries. I’m currently cooking up some VBScript to filter and e-mail log entries on a daily basis. I’ll publish that soon. Performance logging will not start on its own at boot time. Here’s how to get around that problem. Using the Performance MMC, create a set of counter logs. Use a specific name to save the settings, e.g., SQLPERF. Add a string value. A good name would be logman. Set the value equal to logman start sqlperf (or the command in step 4.a. that successfully started performance logging). A new version of the SQL Server 2005 Best Practices Analyzer (BPA) is here. On a related note, the BPA reported several operating system issues that I was unaware of, including an issue where SQL Server’s working set gets paged to disk during large file copies. More info and a link to the Technet article discussing this issue can be found here. By the way, the Simple Talk blog http://www.simple-talk.com is pretty cool. My puny effort here pales by comparison. To quote the authors: WinMerge is an Open Source visual text file differencing and merging tool for Win32 platforms. It is highly useful for determing what has changed between project versions, and then merging changes between versions. I have previously used to use windiff.exe to diff two files. This is or was part of the Windows Resource Kit. More recently I have used the freeware Context editor http://context.cx, which has a very good diff tool built in. On a related note, Here’s a cool trick for finding registry differences between two machines: Export the subkey to a file for each machine and use a file diff tool to compare the differences. By default, the registry editor exports unicode, so either your diff tool has to support unicode, or you need to use the optional Win NT4/9x output format for your export. I recently built an Windows Server 2003 cluster lab using a couple of PCs, two Adaptec AHA2940UW controllers and an old SCSI drive. When configuring the SCSI HBAs, it is important to remember to disable SCSI resets. Note that when shopping for surplus SCSI HBAs, the AHA2940UW is probably the oldest card that you can use. It has a flash-programmable BIOS. You can download the last BIOS version produced for that card from Adaptec’s website. The older 2940 (without the U in the part number) uses pluggable EPROMS. While working on a client’s Exchange server, I stumbled across an interesting knowledgebase article: SMTP tar pit feature for Microsoft Windows Server 2003. Tarpits insert a delay into certain SMTP communications that are associated with spam or with other unwanted traffic. They work by slowing all responses that contain SMTP protocol 5.x.x error codes. For the Microsoft SMTP server the delay value is configurable. There are some caveats as to whether or not this will be effective in your environment and whether or not it will slow legitimate traffic. It is definitely worth checking out. On a related note, it would be interesting to put a LaBrea Tarpit on the top and bottom IPs of an Internet facing subnet. For example, if I owned subnet 207.103.204.0/24, I would bind addresses 207.103.204.1 and 207.103.204.254 to a LaBrea host. Zombie computers often do linear address space scans looking for victim machines. Having a tarpit at either end of the subnet could could significantly slow zombie activity. It would also tend to clean up much of that junk that you see in your HTTP or IDS logs. Wouldn’t it be nice to have the time once a week to run the dcdiag against all of your domain controllers and review the results? (yeah, right) Well, I wrote a script to automate that process. It works like this: First there is a subroutine that enumerates the DCs and puts the result into an array of strings. Next there is a function that runs DCDiag against the list of DCs looking for the string “failure”. If that string is found it concatenates the server name and failure string to a global string variable. At the end of this function, if a failure was found, the function returns “True”. If the function returns true, the script e-mails an alert with the necessary information.